We take a look back at five of March’s most interesting bird sightings as suggested by our experts. This fast and powerful bird is the largest falcon in the world. It breeds in the arctic and irregularly winters farther south, but is rarely seen as far south as Massachusetts. The gyrfalcon comes in three variable color morphs: dark, intermediate gray, and white. 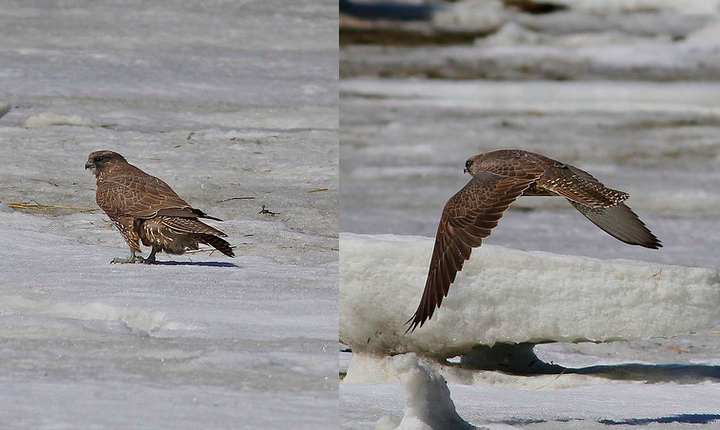 A juvenile dark morph individual has been seen off and on at Salisbury and at several locations between New Hampshire and southern Maine for much of the winter. This large blackbird is typically found in wetlands in the central and western parts of the country. During the winter it may mix with other blackbird species as it searches for food in grain fields and wetlands. Males sport a brilliant yellow head and chest, and a male of this species was spotted in the Cumberland Farms fields off Route 105 in Middleboro. Though this species has a broad distribution across the Northern Hemisphere, it is not common east of the Mississippi River in the United States. In winter and during migration it may occasionally be seen foraging in fields and marshes in the company of other geese. 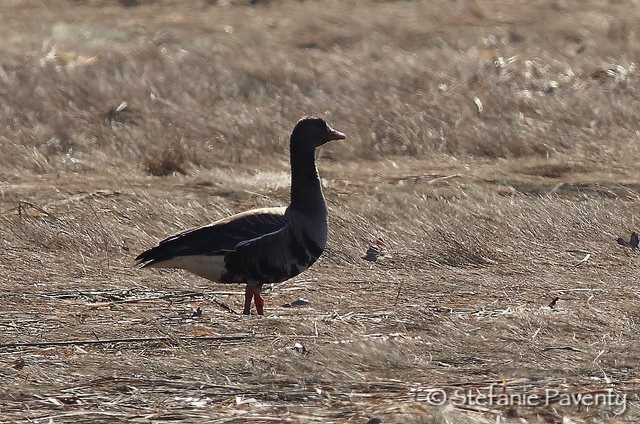 Greater white-fronted geese tend to pair for life, and will often even migrate with their mate. This one was seen at Ellisville Harbor in South Plymouth. This duck derives its name from the ponytail-like tuft on the back of its head. 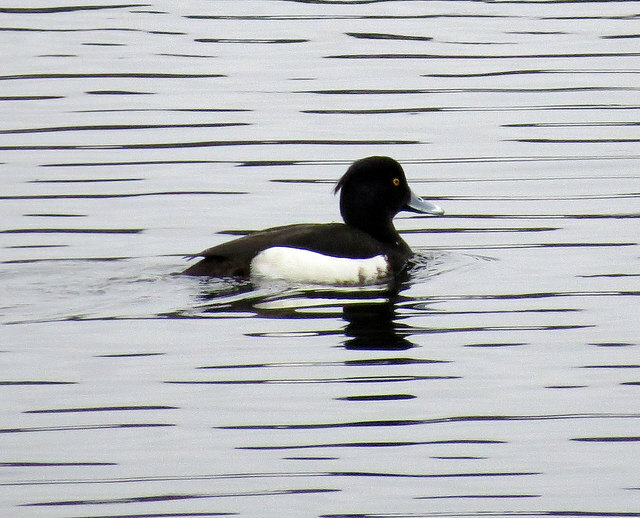 An Old World species, it is common in Europe and Asia where it occupies a niche similar to the ring-necked duck in North America. Though sightings are still rare, they are becoming increasingly frequent winter wanders into North America on both the east and west coasts. This beautiful male was seen on the Merrimac River in Lowell and Newburyport. To add to the interesting mix of unusual gulls along our shores this winter, at least two mew gulls were spotted on the Lynn/Swampscott line at King’s Beach for several weeks this winter. 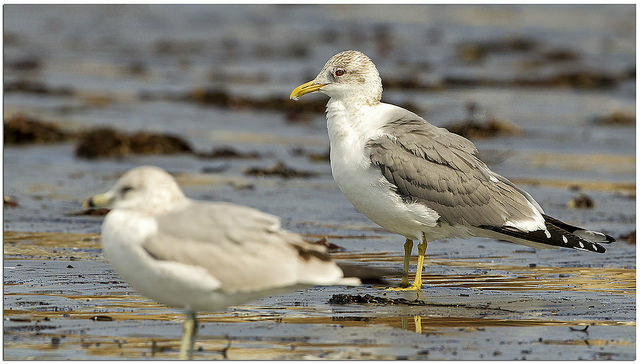 This species is similar in many respects to the abundant North American ring-billed gull. Remarkably, two different mew gull subspecies from different geographic regions were present in Lynn. One was the western European race, and the other belonged to a population from northeastern Asia. This entry was posted in Nature Notes and tagged bird sightings, birding, birds on April 2, 2015 by Rosemary. 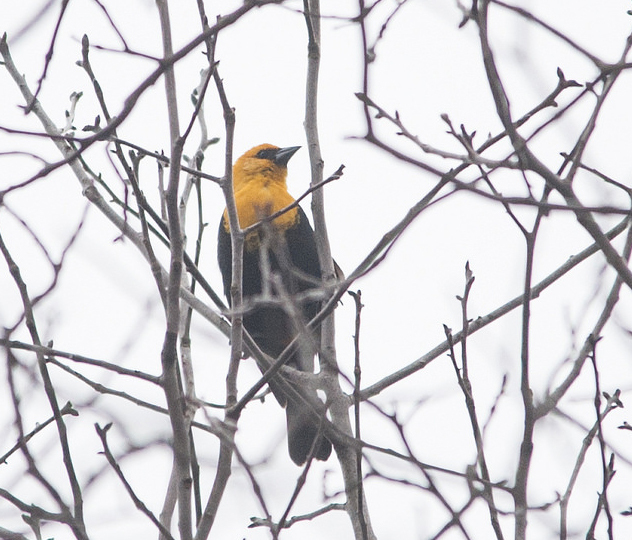 My sister and I spotted a yellow headed blackbird two days in a row at her feeder in Chatham, MA. It was so much fun to see this visitor!! !